Don’t Let Expensive Transport Stop You Having Family Days Out! Do you have loads of great ideas for days out with your kids, but find that the cost of transportation there is stopping you doing them? This is a common theme in families across the country, especially for people who live in rural areas. The attractions you are planning on going to may not even be that expensive in themselves. But there is also food and drink to pay for on a family day out, and you may need to stay over too. For those of us watching our bank balances, this pretty much renders our trip out unachievable. It's important for kids to get out there and see the world, so having to cancel a trip due to transportation costs can be disappointing. Thankfully, there are ways you can slash the prices of your transports AND accommodation (if you need it) so the whole family can enjoy a fun day out. 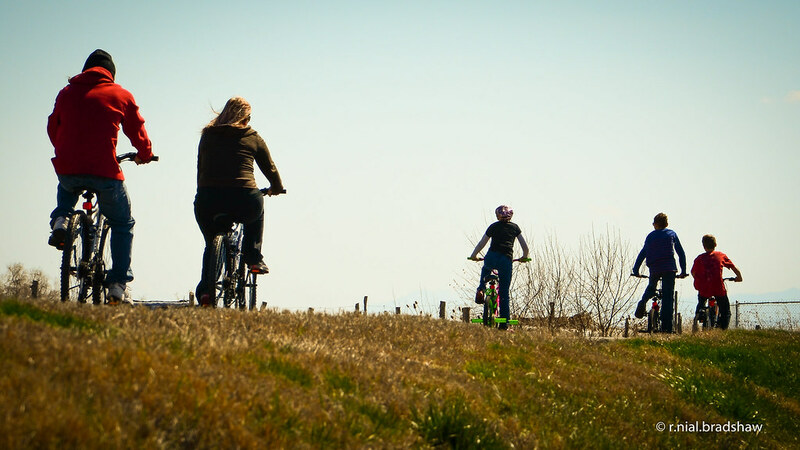 Providing that your destination isn't too far away, why not get the whole family on bikes and cycle your way there? Children don't tend to spend much time in the outdoors these days, so it's also a great way to get them fit and active. Plus, you might see some lovely scenery on your way there that you otherwise wouldn't spot from a car. As with any form of transport, however, it is important that everyone knows the risks. Make sure all your children are confident cyclists before taking any of them out on the road. Wearing a protective hat and hi-vis clothing is also a must, and always check your bikes for safety before you embark on a long journey. More and more people are taking taxis t0 their destinations now as the services become more reliable, thanks to companies like Uber. Taking a cab is also useful if you are unsure of parking arrangements at your destination, or if parking is very expensive. Visit a rideshare website to find out if anyone is going in the same direction as you, and that way, you can share the cost of the journey. Some family days out require quite a bit of travelling, which means that coming home late at night simply isn't feasible. In these circumstances, it is often better to stay over rather than risking a long journey home with tired kids. But, many hotels will charge you a fortune simply for a basic room. Instead look at Bed & Breakfasts – the prices tend to be lower and you can make sure your kids are fed in the morning before setting off back home again. Or, Airbnb has some cheap homes and rooms to rent in nearly every location. Clearly, some days out are going to be way too far to walk to. But think for a second: are you neglecting what is on your very doorstep? Look a little closer to home for your family days out and you may be surprised at what you find.